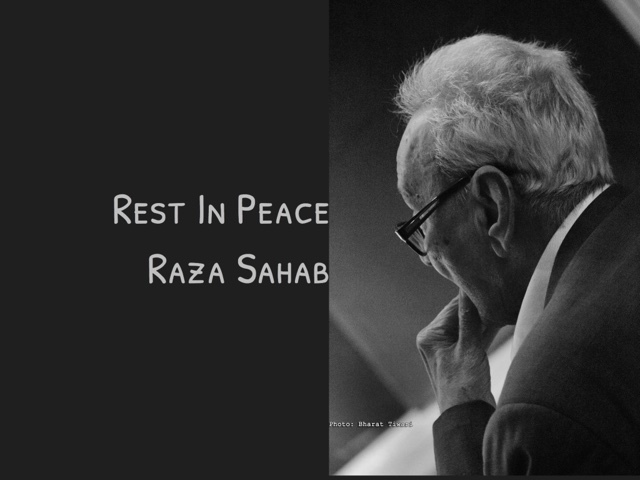 One of the greatest painters of India Syed Haider Raza passed away at the Max hospital, New Delhi after two successive cardiac arrests. His poet-friend Ashok Vajpeyi and secretary Sanjeev Choube were around when he breathed his last. 94 and a half years old master was in ICU for more than 2 months. As per his wishes his body would be buried in Mandala near the river Narmada and next to the grave of his father.